- Identification and quantification of regions, where fresh water supply from sea or brackish water with decentralised autonomous desalination units are a possible solution for the water supply problem. - Generating information on market-available desalination systems through study and development of technical concepts for installing sustainable desalination units in selected areas. - Planning, implementation and monitoring of pilot installations to achieve detailed knowledge on technical viability, socio-economic concerns. - Gaining information about actors in the field of water and energy supply, possible investors and political framework in order to be able to identify potential and barriers to boost the implementation of decentralised desalination units. 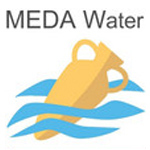 - Preparation of tools, data bases, training and awareness raising materials for supporting the systems designers, installers, operators and final water users in the implementation and sustainable operation of decentralised desalination units.